Personalized New Baby Silver Photo Frame - Engraved New Baby She's All Heart Frame Place your favorite new baby photo inside this Engraved Silver Photo Frame. Our baby picture frames make a unique gift idea for parents and grandparents! Our Personalized New Baby Photo Frame measuring 5" x 5" holds a 3" x 3" photo. 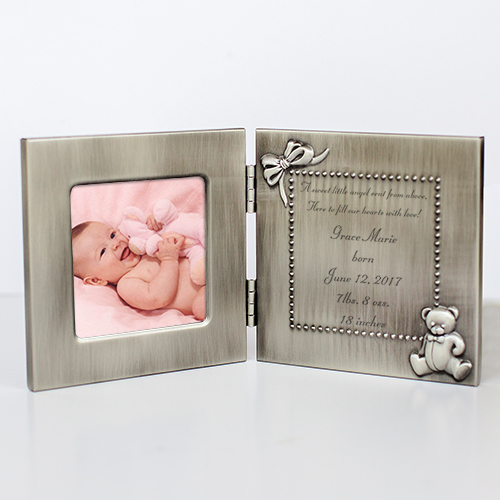 New Baby Photo Frame includes FREE Engraving! Personalize your New Baby Photo Frame with any new baby's name, birth date, weight, height and inches.